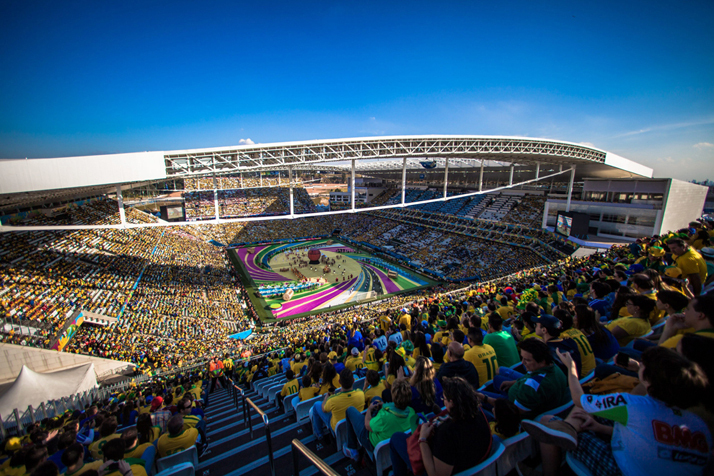 The host nation won the game opener in front of 62,100 fans at Corinthians Arena in Sao Paulo, and masses watched in various positions around the country and world. -Some in protest that a huge amount of funds are directed to this prominent event. 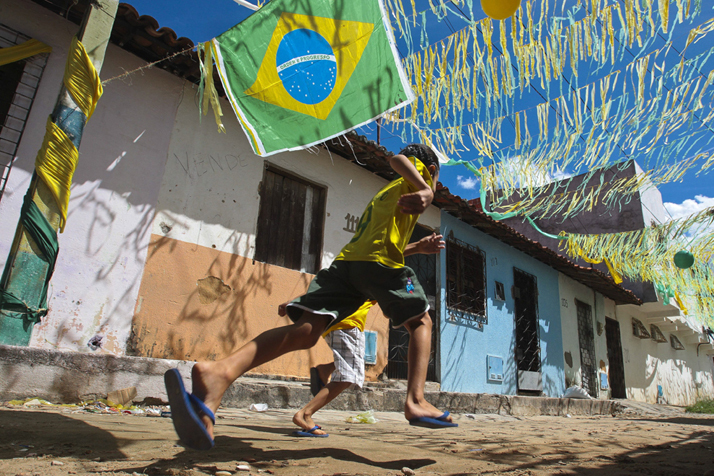 A boy runs in a decorated street in Fortaleza, Brazil , June 12. 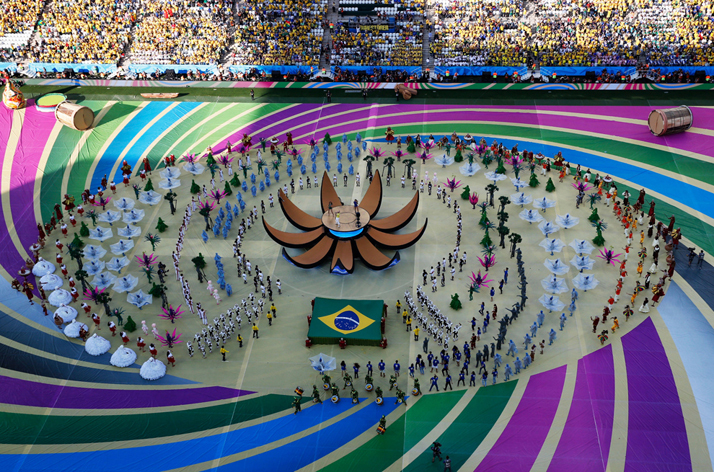 The FIFA World Cup 2014 is taking place in Brazil from June 12 to July 13. (JARBAS OLIVEIRA/EPA). 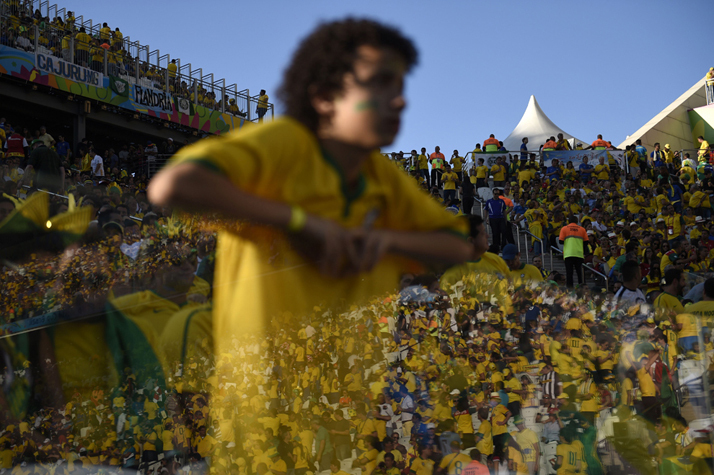 Supporters of Brazil watch the opening ceremony prior to the FIFA World Cup 2014 group A preliminary round match between Brazil and Croatia at the Arena Corinthians in Sao Paulo, Brazil, June 12. (MARCOS MENDEZ/EPA). 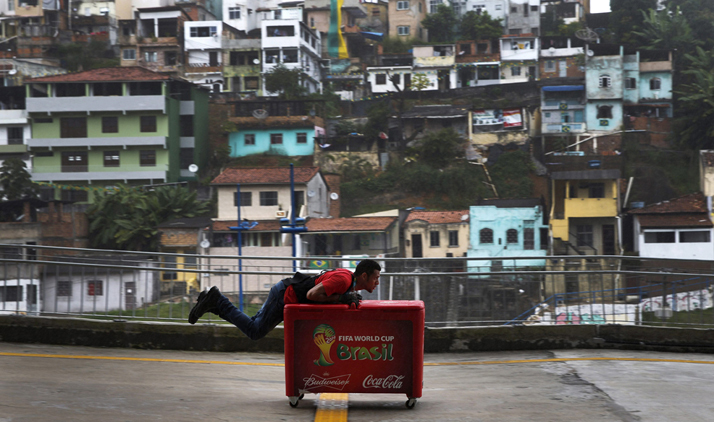 An operator delivers a fridge to the Arena Fonte stadium, in Salvador de Bahia, Brazil, June12, where Spain, reigning world champions, will begin the defence of their title against Holland on June 13. (KAI FOERSTERLING/EPA). 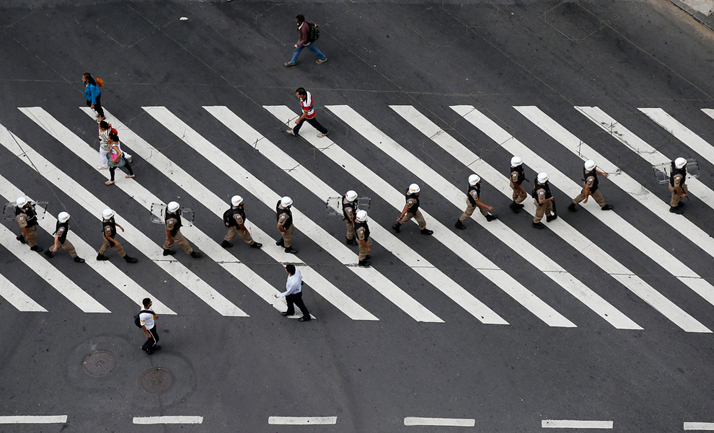 Members of the Brazilian police confront a group of demonstrators during a protest against the FIFA World Cup 2014 in Sao Paulo, Brazil, on June 12. Demonstrators clashed with police Thursday in Sao Paulo, just a few hours before the World Cup opening game between hosts Brazil and Croatia was due to start in the city's Arena Corinthians. (Marcos Mendez/EPA). 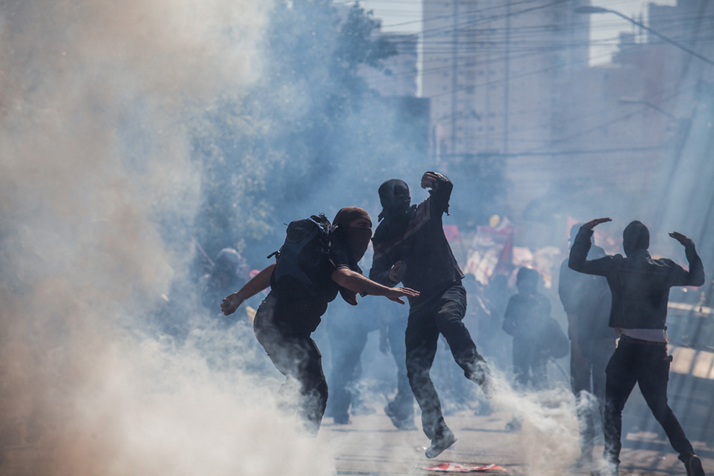 Demonstrators from the anarchist group Black Bloc clash with police during the protest against the holding of the World Cup on the opening day of the event on June 12, in Sao Paulo, Brazil . Military police resonded to the protest and there were reported injuries. 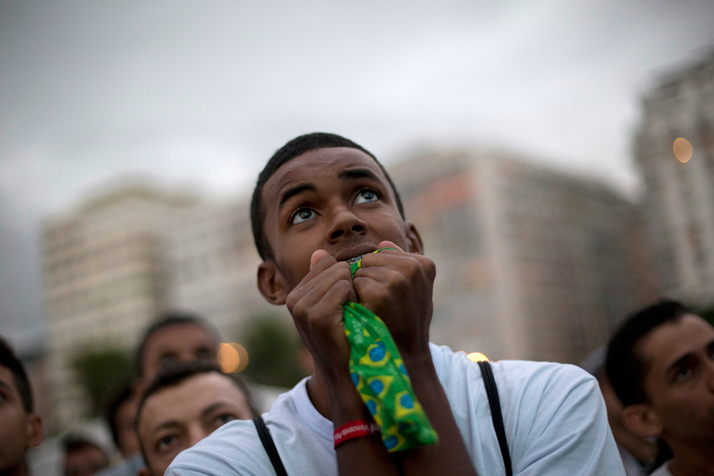 This is the first day of the 2014 FIFA World Cup. (Victor Moriyama/Getty Images). 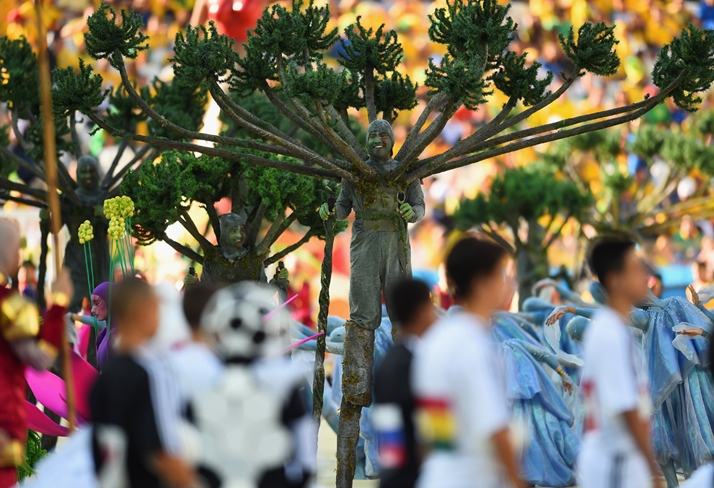 Artists perform during the Opening Ceremony of the 2014 FIFA World Cup Brazil prior to the Group A match between Brazil and Croatia at Arena de Sao Paulo on June 12, in Sao Paulo, Brazil. (Christopher Lee/Getty Images). A general view as singers Jennifer Lopez, Claudia Leitte and Pitbull perform during the Opening Ceremony of the 2014 FIFA World Cup Brazil prior to the Group A match between Brazil and Croatia at Arena de Sao Paulo on June 12, in Sao Paulo, Brazil. (Pool/Getty Images). 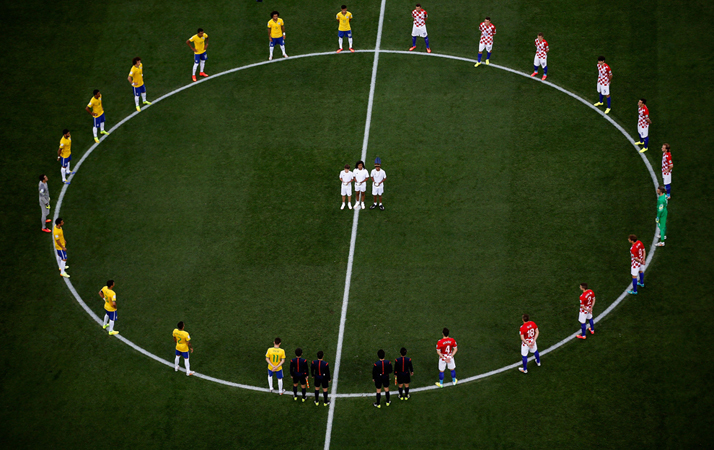 Brazil and Croatia players stand around the center circle as doves are released before the 2014 FIFA World Cup Brazil Group A match between Brazil and Croatia at Arena de Sao Paulo on June 12, in Sao Paulo, Brazil. (Fabrizio Bensch - Pool/Getty Images). Brazilian anti-riot policemen secure the streets during a protest against the FIFA World Cup 2014 in Belo Horizonte, Minas Gerais state, June 12. A peaceful protest was also under way in Rio de Janeiro, where seven World Cup games including the July 13 final are set to be played. 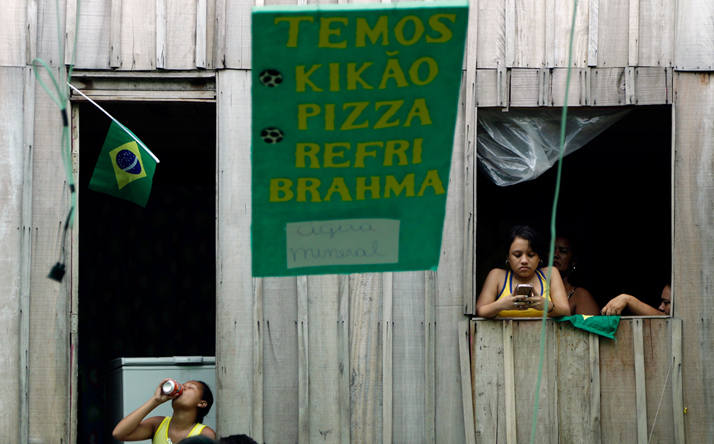 Demonstrations have been rife in Brazil for the past year, as many protest against what they perceive as excessive public spending on events like the World Cup. Protestors demand that the funds be spent on improving public services, including education, health and transportation. (DENNIS M. SABANGAN/EPA). 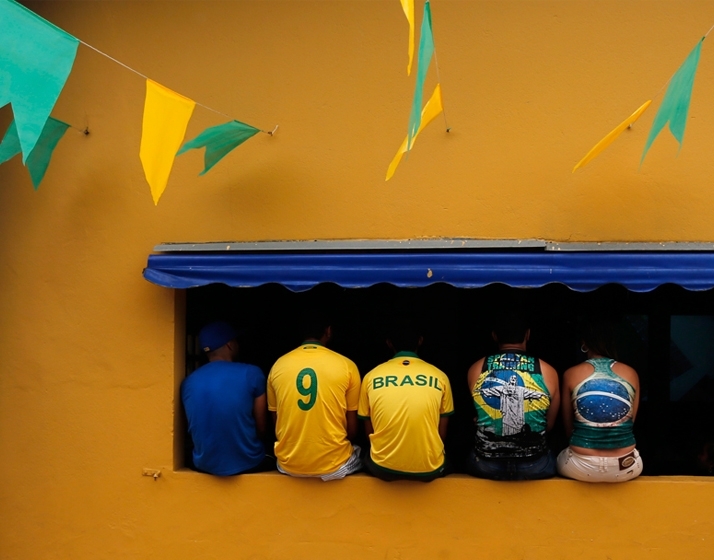 Brazilian residents watch the opening match of the FIFA World Cup between Brazil and Croatia in Porto Seguro, Brazil, June 12. (Matthias Schrader/Associated Press). US singer Jennifer Lopez (R) and Brazilian singer Claudia Leitte perform during the opening ceremony prior to the FIFA World Cup 2014 group A preliminary round match between Brazil and Croatia at the Arena Corinthians in Sao Paulo, Brazil, 12 June 2014. (DIEGO AZUBEL/EPA). A Brazilian woman uses her mobile phone whilst standing in front of her window in Manaus, Brazil, June 12. (Themba Hadebe/Associated Press). Brazilian fans await the kick off of a Group A football match between Brazil and Croatia at the Corinthians Arena in Sao Paulo on June 12. (ODD ANDERSEN/AFP/Getty Images). 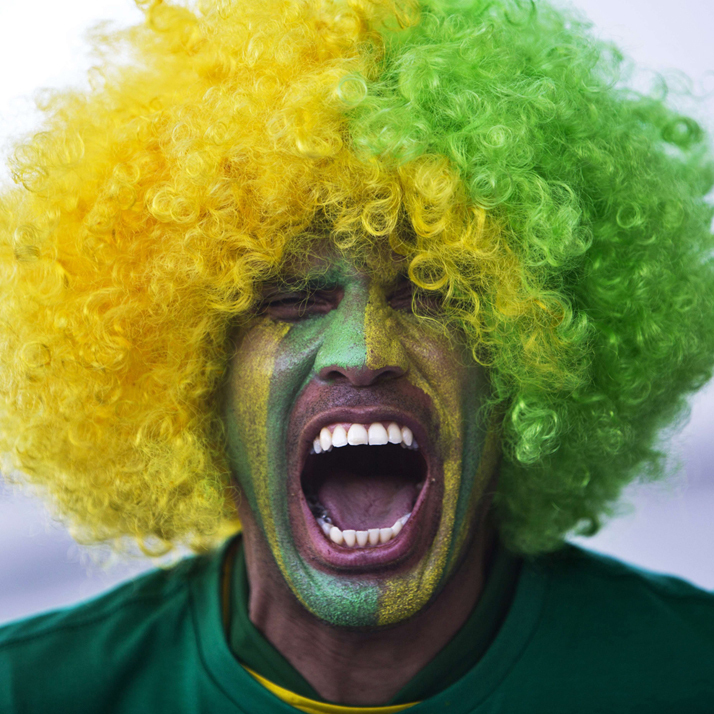 A Brazilian fan poses outside the Corinthians Arena in Sao Paulo prior to the start of the Group A opening football match on June 12. (BEHROUZ MEHRI/AFP/Getty Images). 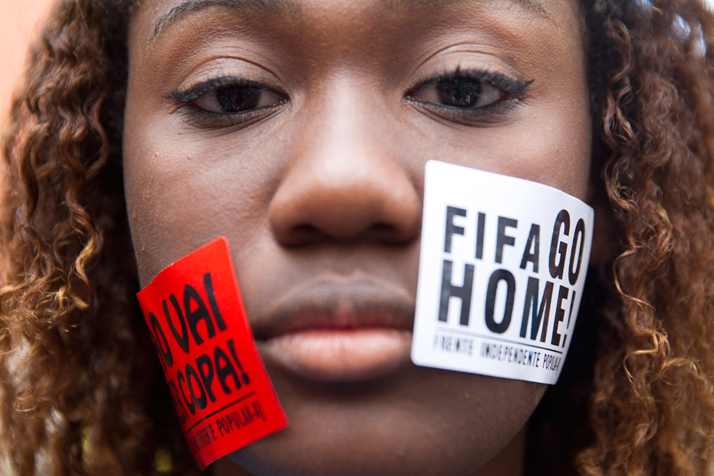 A woman protests with signs pasted on her face that read "FIFA Go Home" and "Will not have a Cup" during a march against the World Cup 2014 at the Copacabana beach, in Rio de Janeiro, Brazil, June 12. Protesters are demanding better public services and protesting the money spent on the soccer tournament. (Leonardo Wen/Associated Press). 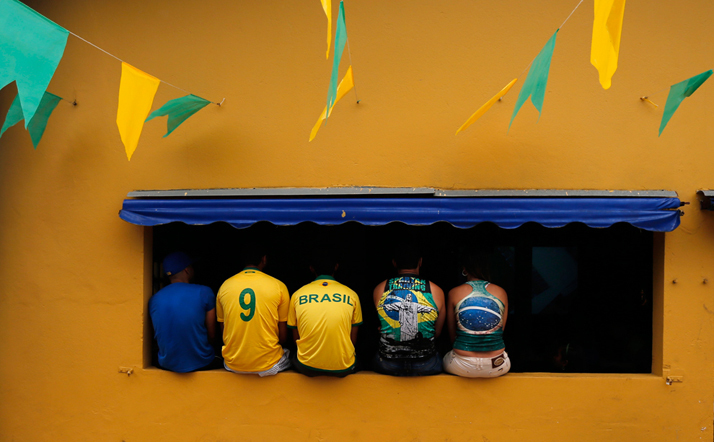 A Brazil soccer fan watches a screen broadcasting the World Cup opening match between Brazil and Croatia inside the FIFA Fan Fest area on Copacabana beach, Rio de Janeiro, Brazil,June 12. 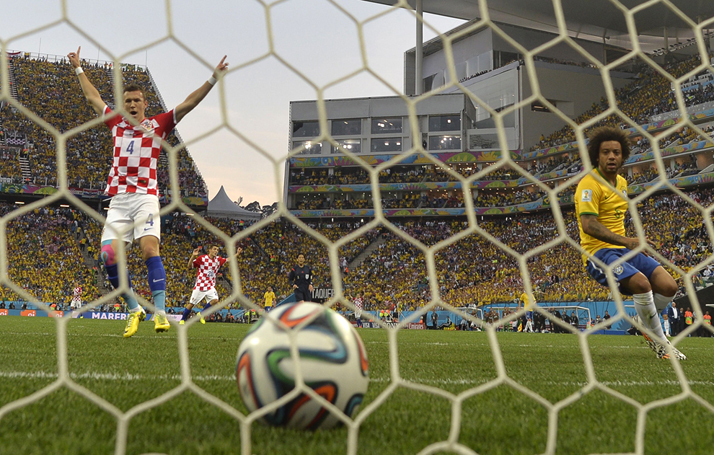 After taking the early lead in the opening match of the international soccer tournament, Croatia fell 3-1 to the five-time champion Brazil. (Silvia Izquierdo/Associated Press). 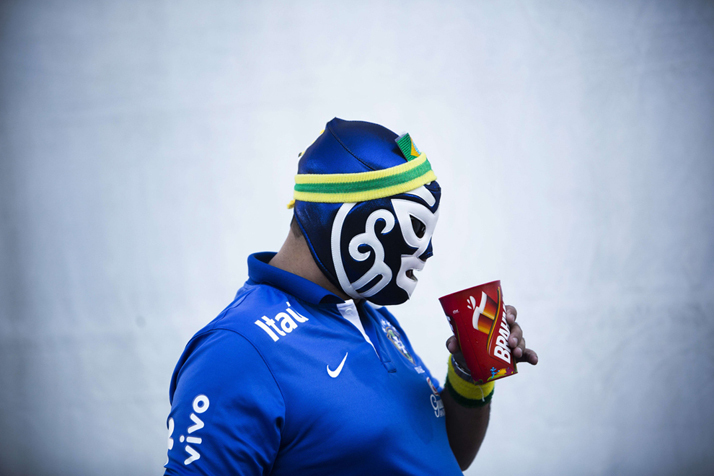 A Brazilian fan wearing a mask, drinks beer outside the Corinthians Arena in Sao Paulo on June 12. (BEHROUZ MEHRI/AFP/Getty Images). Croatia's midfielder Ivan Perisic (L) celebrates a goal against Brazil as Brazilian defender Marcelo (R) looks on June 12. (ODD ANDERSEN/AFP/Getty Images). 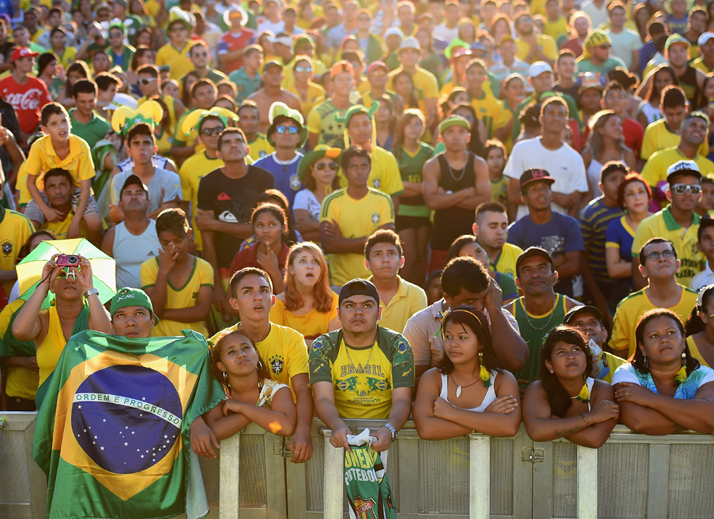 Brazil fans watch the opening match in the late evening sun at the FIFA Fan Fest on June 12 in Fortaleza, Brazil. (Laurence Griffiths/Getty Images). Brazil's midfielder Luiz Gustavo (L) and Croatia's midfielder Ivan Perisic vie for the ball during a Group A football match between Brazil and Croatia during the 2014 FIFA World Cup on June 12. (FABRICE COFFRINI/AFP/Getty Images). 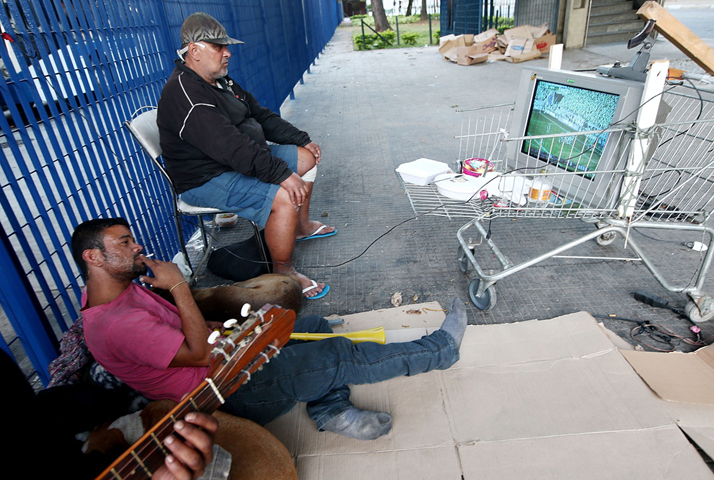 Men watch the Brazil-Croatia match from a television jerry-rigged on a shopping cart on June 12, in Sao Paulo, Brazil. (Mario Tama/Getty Images). 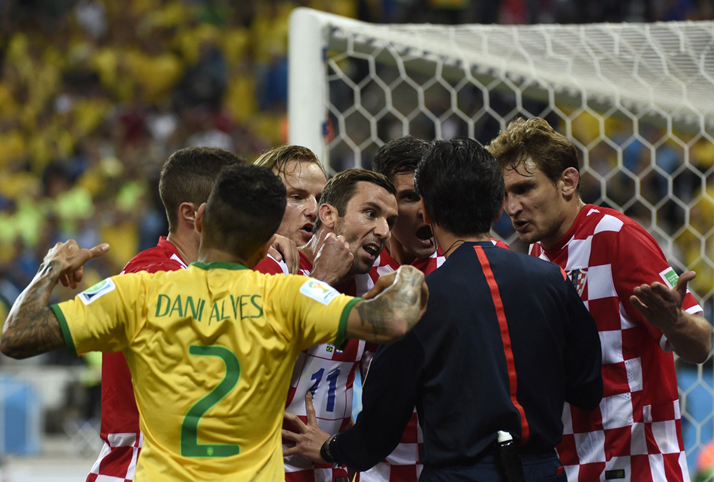 Croatia's defender and captain Darijo Srna (C) and his teammates dispute with Japanese referee Yuichi Nishimura (2R) after he gave a penalty during a Group A football match between Brazil and Croatia on June 12. (ODD ANDERSEN/AFP/Getty Images). 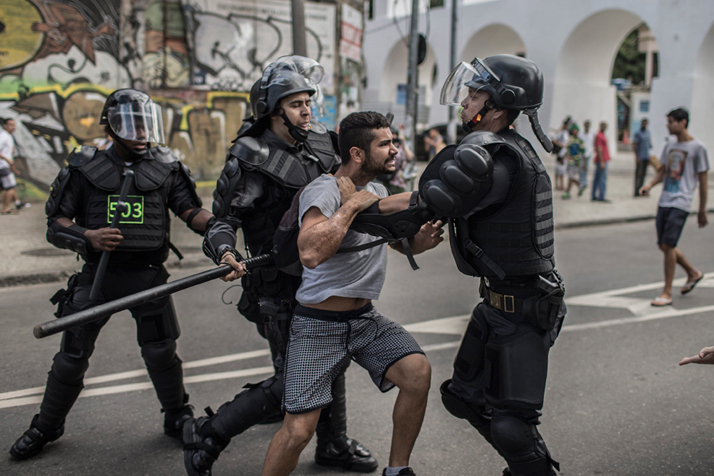 Brazilian riot policemen detain a man during clashes ahead of the start of the FIFA World Cup 2014 in the Lappa district of Rio de Janeiro, Brazil, June 12. (OLIVER WEIKEN/EPA). 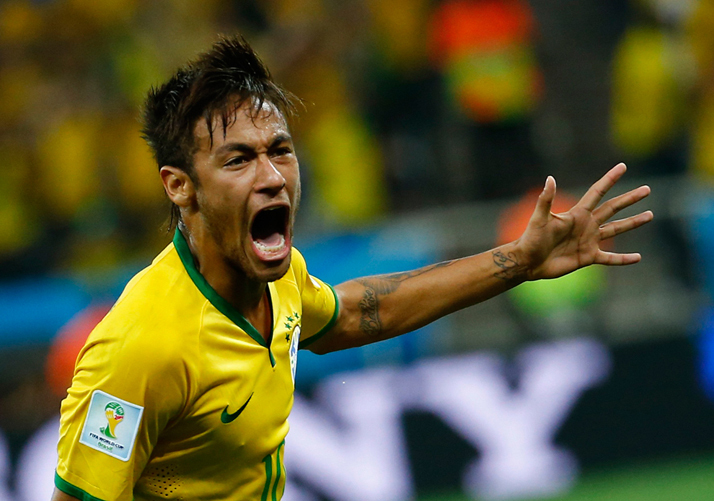 Brazil's Neymar celebrates his goal against Croatia during their 2014 World Cup opening match at the Corinthians arena in Sao Paulo June 12. (Damir Sagolj/Reuters). 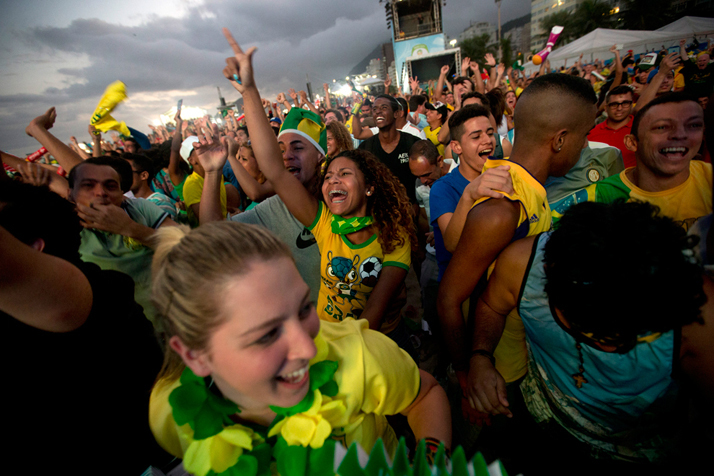 Soccer fans celebrate a goal scored by Brazil in the World Cup opener against Croatia, during the FIFA Fan Fest on Copacabana beach in Rio de Janeiro, June 12. (Silvia Izquierdo/Associated Press). 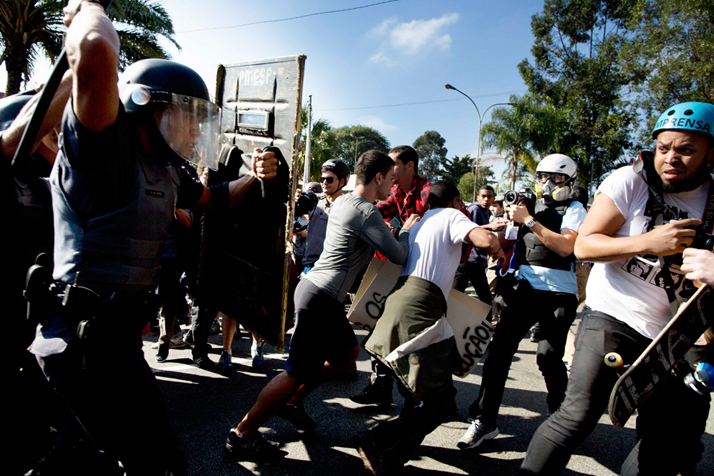 Police push back protesters and journalists in Sao Paulo, Brazil, June 12. 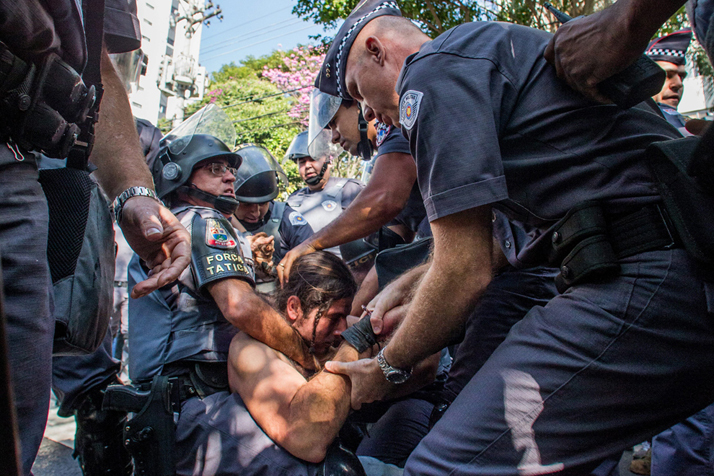 Brazilian police clashed with anti-World Cup protesters trying to block part of the main highway leading to the stadium that hosts the opening match of the tournament. 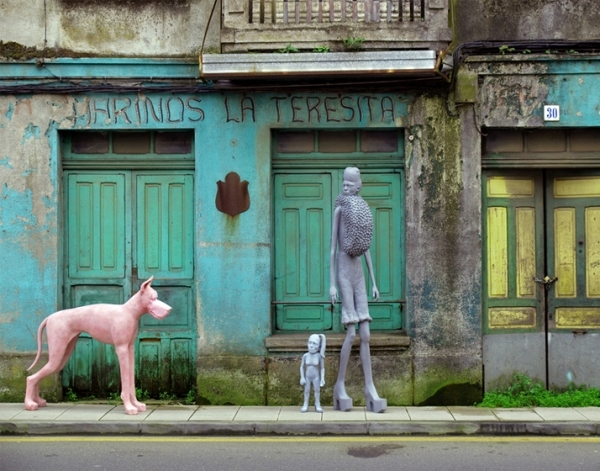 (Rodrigo Abd/Associated Press). 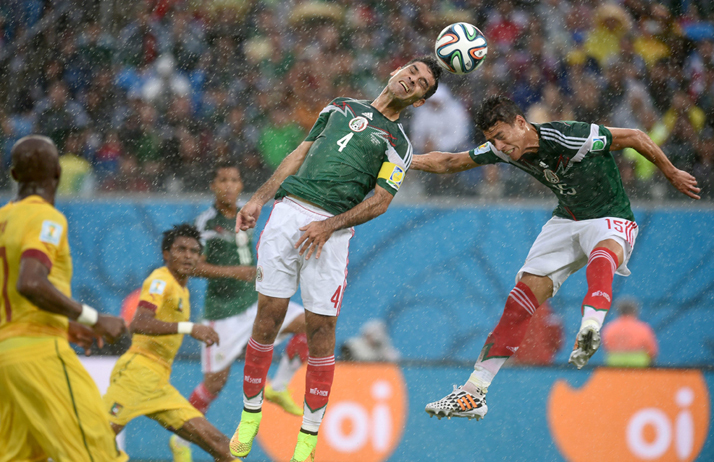 Rafael Marquez (C) and Javier Hernandez (R) of Mexico go for a header during the FIFA World Cup 2014 group A preliminary round match between Mexico and Cameroon at the Estadio Arena das Dunas in Natal, Brazil, June 13. (VASSIL DONEV/EPA).